The majority of German immigrants to the United States were Lutherans who came from the seat of the Lutheran Reformation. The failure of the Revolution of 1848 in Germany sent thousands to America seeking political asylum, economic opportunity, and freedom from military conscription. Efforts to organize these Lutherans were attempted as early as the 1820’s by occasional ministers or itinerant Lutheran pastors. On August 18, 1833, the Rev. Fredrich Schmid held the first Lutheran service at John Haik’s carpenter shop, where Ford Auditorium now stands. Rev. Schmid left for Scio Township, present day Ann Arbor. and established Salem Lutheran Church. This became the first Lutheran Church in Michigan. Five weeks later Rev. Schmid returned to Detroit and began the German Protestant Church. For the next three years he periodically returned to Detroit to conduct Lutheran services and administer the sacraments. At the time, the German Evangelical State Church was made up of Lutheran and Reformed pastors. The next pastor to arrive in Detroit was Rev. E. P. Schwabe who took over the Lutheran and Reformed work in Detroit. As a Reformed pastor, he then established the congregation as St. John Evangelical and Reformed Lutheran Church on Monroe Street. Today this parish is Old St. John’s (St. John – St. Luke United Church of Christ) located across Gratiot from Trinity. During this period, Lutheran work was at a standstill. In 1845, the Rev. John Friedrich Winkler, an Ohio Synod professor, became the first Lutheran resident pastor in Detroit. He established St. Matthew’s Lutheran Church in November of 1845 and built a church at Congress and Rivard. The Lutherans who belonged to St. John’s then changed their membership to St. Matthew’s. St. Matthew’s. This was the first official Lutheran congregation established in the city of Detroit. The parish joined the Buffalo Synod, and today is the First Lutheran Church located on Cadieux and E. Warren in the City of Detroit. The Rev. Winkler started St. Peter’s Lutheran Church (now Eastpointe) in 1846. During these years, the Lutheran Church was undergoing many struggles as it attempted to free itself from the former state run churches in Europe. On the east coast, various ministeriums (1748), synods, and councils were merging into the former Lutheran Church in America (LCA). In the midwest, various synods, Ohio Synod, Iowa Synod, and Buffalo Synod were undergoing changes that resulted in the American Lutheran Church (ALC). In Missouri, the Rev. C.F.W. Walther was beginning the Missouri Synod (1847) and the Wisconsin Synod (1850). These various synods and local parishes largely struggled with the principle of congregational authority. They debated such things as whether it was appropriate to have candles, statues, altars, and artifacts, as well as whether private confession was necessary before Holy Communion. Rev. Winkler struggled with all of these changing times in the early Lutheran Church in America. He also found dissension in his St. Matthew’s congregation. In 1850, he excommunicated a member without approval of the congregation. He felt that the decision was within the limits of his power as the pastor. Seventeen men felt it was the decision of the congregation and consequently broke away from St. Matthew’s to form Trinity Lutheran Church. After many attempts to settle the issue between the members who broke away to form Trinity, the Rev. Johann Michael Gottlieb Schaller (1850-1854) was sent as the first pastor of Trinity on November 10, 1850. Trinity affiliated with the new Missouri Synod (est. 1847) and became the Mother Church of the Missouri Synod in Detroit. Services were held in the chapel of Christ Episcopal Church at Jefferson and Hastings. The congregation then purchased the chapel of the Western Seaman’s Friend Society of Woodbridge Street from the Mariners Church (Episcopal) and moved it to Rivard and Larned as its first church building. For many years Trinity was called “Schaller’s Kirche” or “St. Charles’ Church”. It was the custom in those days to refer to a church by the name of its pastor. Rev. Schaller had been sent to America by Pastor Johannes Loehe, who had hoped to establish a seminary in Michigan. However, in the 1850’s, at the Missouri Synod convention, C.F. Walther convinced Schaller to become a Vice President of the Synod. 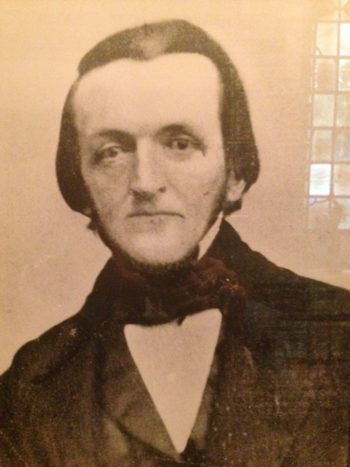 Shortly thereafter he left Trinity in Detroit (1854) and went to Old Trinity in St. Louis as the assistant to Wyneken. Later he became president of the Western District in Missouri and in 1872 became a professor at the Concordia Seminary in St. Louis. Rev. Schaller was succeeded in Detroit by the Rev. Carl Johann Herman Fick (1854-1857) on November 19, 1884, who was a gifted writer and poet. Hymn 498 of the Lutheran Hymnal was written by him. After about four years at Trinity, his health became impaired so severely that he had to end his services to the congregation. Although he took a trip to Germany in hopes of recovery, he was unable to return to Detroit. He took a smaller parish in Collinsville, Illinois and later in Boston. When Rev. Fick became ill, the Rev. Johannes Nikolaus Adelbert Wuestemann (1857-1859) was called to Trinity to assist him, and he became its pastor in 1857. But his health also deteriorated and he had to leave Trinity. Later he became pastor of St. Peters, East Detroit (1859-1862) until his health gave out again. In a lifetime of forty-four years, he managed to work in the active ministry only eleven years. Thus, in the first nine years Trinity had three pastors (Schaller, Fick, Wuestermann). But in the years that followed, a more stable pastorate was established by four pastors who served Trinity for the next 155 years (Huegli, Otte, Otte, Eberhard). The Rev. 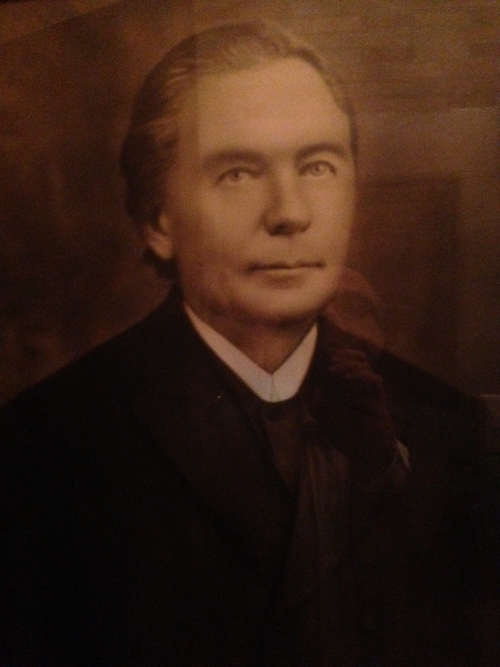 Johannes Adam Huegli (1860-1902) became the aggressive new pastor of Trinity. Rev. Huegli was installed on the Second Sunday after the Epiphany in 1860. Pastor Huegli’s 42 years at Trinity were difficult, but greatly blessed. Soon the first church building at Larned and Rivard was too small and Rev. Huegli dedicated a new brick church on October 28, 1866 at Gratiot and Rivard. By now German workers, artisans, and intellectuals were establishing numerous churches, schools and cultural institutions in the neighborhood of Gratiot Avenue and the Eastern Market, known as “German Town” in the 1850’s. In 1866, a year after the Civil War ended, a Civil War hospital for soldiers and sailors was located next to the church. Because of Rev. Huegli’s close contact with the patients, widows, and orphans, he began the Lutheran Fraternal Association to assist widows with burials. Soon after, he also began the Lutheran Home for the orphans, which is now Lutheran Special Education Ministries. Today LSEM serves over 1200 students in 58 schools across 11 states. The hospital was converted into a parsonage for the large Huegli family, which had 12 children. Rev. Huegli initiated the new era for Detroit Lutheranism with patient tenacity and the evangelical application of the Word. Under his leadership, Lutheranism began to strike deep notes in Detroit. Under Rev. Heugli, Christian education was especially emphasized. In 1864, a new school was built on High Street to replace Detroit’s first Protestant parochial school, which had been built in 1852. Under his leadership many schools, missions, and congregations were begun by Trinity, the Mother Church of Detroit Lutheranism. Among these were Immanuel – 1865; St. Paul – 1871; Bethany – 1871; Bethel – 1877; St. Mark – 1865; and many others. In all, 132 Lutheran parishes in southeast Michigan can trace their roots to Trinity. 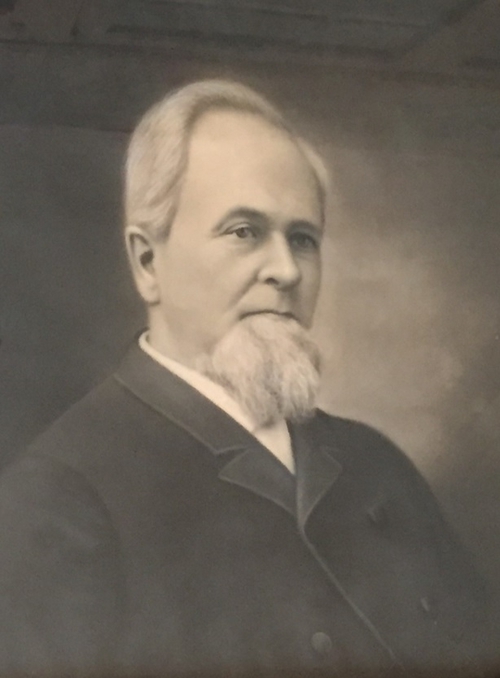 He was also a founder of the Lutheran School for the Deaf, and was second President of the Michigan District LCMS (then called the Northern District). Rev. 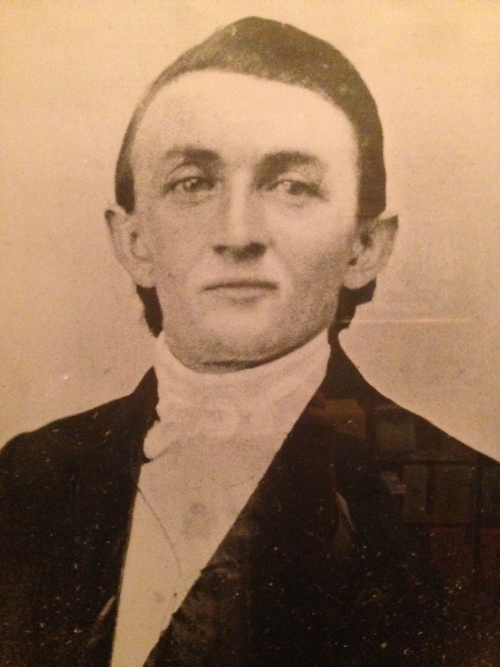 Huegli found William Henry Theodore Dau, reading Latin in his father’s tailor shop, and he encouraged the young Dau to enter the Lutheran ministry. The Rev. Dr. W.H.T. Dau was AA professor, scholar, and prolific writer at Concordia Seminary, St. Louis, and was the first Lutheran President of Valparaiso University in Valparaiso, Indiana. He was the primary writer of the English translation of the Triglot. Trinity’s Dau Library is named in his honor. A grandson of Rev. 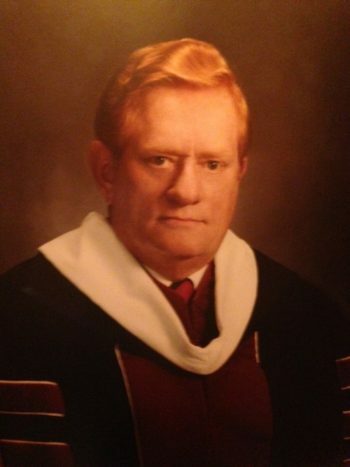 Huegli, the Rev. Dr. Albert G. Huegli, also became a President of Valparaiso University. In May 1902 Rev. Huegli retired as Pastor of Trinity and turned over the ministry to the Rev. H.C.F. Otte. The Rev. John Adam Huegli died on April 12, 1904. The auditorium of the parish hall at Trinity is named the “Huegli” auditorium in his honor. Rev. H.C.F. Otte The Rev. 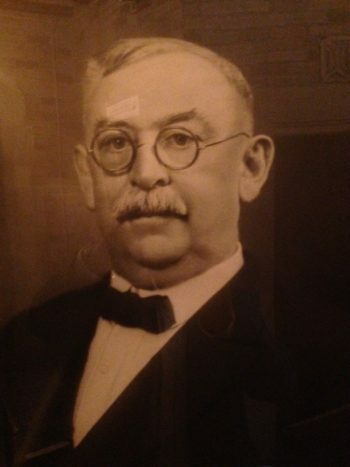 Herman Christian Friedrick Otte (1902-1927) became pastor of Trinity in 1902. In 1905 a new school and social hall was built on Rivard behind the church building. The community around Trinity began to change and in the late 1920’s, it was noted that families were leaving the downtown area due to the mobility provided by the automobile. The immigrants from Germany had stopped coming in great numbers and the new citizens were uncomfortable with a German language congregation. The grade school was closed in 1920 and sold to the First Italian Presbyterian Church. The school then merged with St. Peter’s School. In 1921, the old parsonage adjoining the brick church was converted into the parish hall, and in 1927 it was replaced with the present parish hall. It was noted that Rev. H.C.F. Otte was a man with a good knowledge of church history and a fine sense of humor. Dr. Gilbert Otte In 1927, Rev. H.C.F. Otte’s son, the Rev. 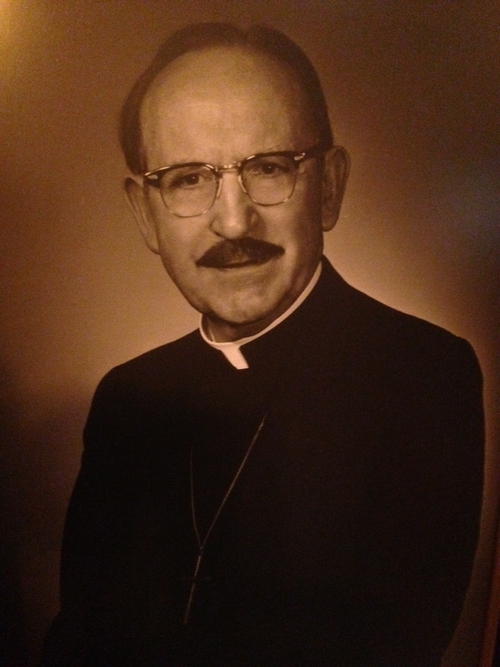 Dr. Gilbert Theodore Otte (1927-1983) was called to assist his father at Trinity. Before G. T. Otte arrived, his father had died. Rev. Gilbert Otte, from the very first, expressed a great love for church history, church architecture, and church liturgy. He was one of the forerunners of the liturgical movement (St. James Society) in the Lutheran Church. In the early 1900’s Detroit’s religious community was going through a church building boom, funded by generous gifts from individuals. The Booth family built Christ Church Cranbrook, the Kresge family Metropolitan Methodist Church, the Dodge family Jefferson Avenue Presbyterian Church, the Newberry family Grosse Pointe Presbyterian Memorial Church, and others. Mr. Charles Gauss, a member of Trinity, approached Dr. Otte to build a new church on the present site in thanks to God for the healing gift to his daughter. Together, Dr. Otte and Mr. Gauss, in consultation with Rev. F. R. Webber of Cleveland, planned and built the finest liturgical architectural church in Detroit. Our present church building, the third for the Trinity congregation, was dedicated in 1931. After World War II ended in 1945 the population of Detroit became very mobile and many families left the city for the suburbs. Most Detroit churches, including Trinity, suffered the loss of membership; yet Dr. Otte remained firm that Trinity must remain as a Lutheran Church in downtown Detroit. Dr. Otte was a leader in the development of Trinity as the center of Lutheran activity for Lutherans in the Metropolitan area. The Lutheran Hour began and was broadcast live from Trinity. The Detroit Lutheran Radio Program was broadcast live from Trinity. The Lutheran High School Association, the Lutheran Council for Women, The Lutheran Fraternities (Insurance) of America, the Detroit Valparaiso Guild, and many other Lutheran organizations can trace their origins and first meetings to Trinity. Dr. Otte’s first love was his “beloved Trinity”. He cared and cultured her as a faithful pastor for 55 years. Trinity’s parish hall is named “Otte Hall” in his honor. In 1981, the Holy Trinity Polish Lutheran Church at Elmwood and Griffin joined with Trinity to begin a new Cathedral Ministry. Rev. Dr. David Eberhard was called as Associate Pastor to Dr. G. T. Otte. Upon the death of Dr. Otte in 1983, the Rev. David Eberhard was elevated as 7th Head Pastor of Trinity. Rev. Eberhard had served at Riverside Lutheran Church since 1959 until its closing in 1976. He also served at Holy Trinity Polish Lutheran Church and the Holy Trinity Slovak Lutheran Church, until its closing in 1995. In 1976, Rev. Eberhard was elected to the Detroit City Council, a full-time position, and he served as Council member until 1994. While a city council member, he continued to pastor the church part time. After serving 34 years faithfully serving as the head pastor, Dr. Eberhard stepped down in August of 2015 when Historic Trinity extended a call to Rev. D. Lee Andrzejewski to lead the congregation. We are eternally grateful for Dr. Eberhard and his faithful and bold service and for restoring the church facilities and growing the congregation in the city of Detroit. Pastor Eberhard was laid to rest at Historic Trinity May 14, 2016, and we praised the Lord for His faithfulness to this His servant. May he rest from his labors. We welcome Rev. D. Lee Andrzejewski as our new Head Pastor. He is the former Senior Pastor of Guardian Lutheran Church in Dearborn, Michigan. On August 16, 2015, he became the 8th Head Pastor of Historic Trinity in its 165 years of ministry. As a former mission planter, born and raised in the city of Detroit, his enthusiasm to proclaim the Gospel to all, his passion and heart for the city, his experience through many years in the ministry, doctoral focus on mission and culture, and his assurance that he has the support of the members of Historic Trinity, all point to an exciting, creative, and bold ministry in downtown Detroit. In 1998 Dr. John Heins, as President Emeritus of the Michigan District – LCMS, joined the Historic Trinity Cathedral Ministry developing the role of President Emeritus as a church statesman. Under the leadership of Dr. David Eberhard, Historic Trinity expanded its mission and ministry to include the Cathedral Ministry, the Historic Trinity Inc., the Trinity Arts, the Dau Church History Library, the Historic Trinity Websites, and many more cutting-edge ministries. Rev. Roger Kilponen and Rev. John Nunes (currently the President of Concordia College, Bronxville, NY) became associated Pastors. Together with Dr. Eberhard, they began the Historic Trinity Lutheran Church outreach ministry Lutheran City Ministries in 1995. The Lutheran City Ministries was a city-wide ministry that set the renewing of the Church throughout the city. In 1998 Rev. Roosevelt Gray, Jr. became associate pastor and under his direction the Lutheran City Ministries became empowered and independent as the Detroit Lutheran Ministries. Thus, since 1850 Historic Trinity has maintained its vigil over downtown Detroit through good times and bad, in periods of brilliance and obscurity, as a living church held in great esteem by its membership and others who have come to worship within its architecturally excellent facilities. Each person who steps inside derives their own satisfaction from Historic Trinity; whether their purpose is to communicate with the past, give thanks for the present, or to find reasonable hope for the future.